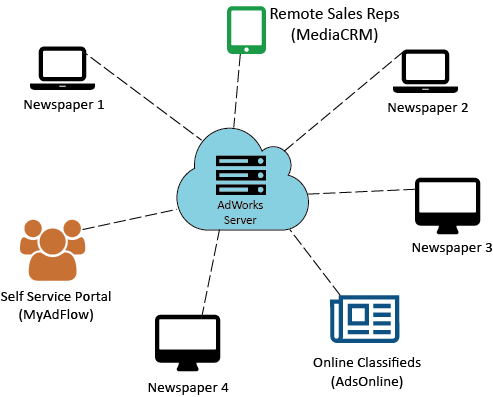 AdWorks® is a full featured advertising management system designed for daily and weekly publications. It provides all of the tools necessary for efficient print and digital ad sales, accounts receivables, powerful live reporting, messaging and pagination integration – all in one complete system. The new microsite has been launched for the AdWorks app product, which will showcase the features, product updates and enhancements of AdWorks.